FREE! 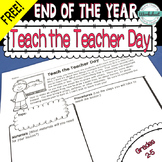 End of the Year: Teach the Teacher Day! 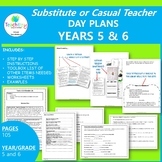 Be the Teacher for a Day! 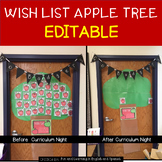 This is a great activity to have your kids do at the end of the year. It’s easy! Just use or make changes to the parent letter. 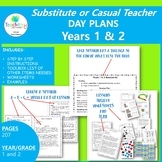 Plan out the student times and dates of their day to teach their lessons. 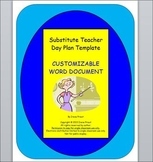 Then print out the forms along with the lesson plan template to send home with your students. 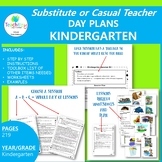 Students will become the teachers for the day! 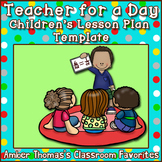 They will be designing lesson plans, activities, and will teach the class. I used this activity with my math class and I gave them all old topics. They were teaching the class old topics to help refresh my students minds for testing! 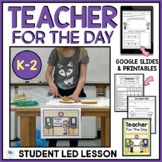 Teacher for a Day Project! 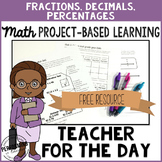 This mini-project is directed at applying students' knowledge of whole numbers and whole numbers operations of multiplication and long division. They will be creating a test, answer key, and game involving the designated math concepts. Rubric included.